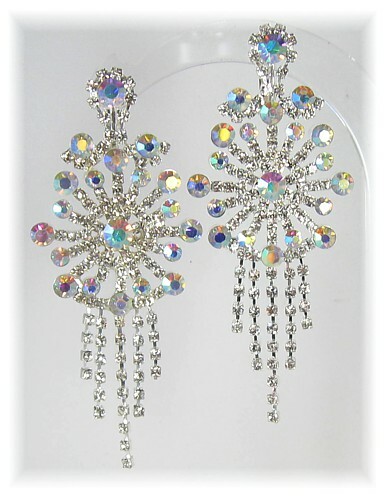 Utterly divine mix of crystal clear and aurora borealis rhinestones, which shimmer like crazy with every tiny movement. Big, bold and very beautiful, these earrings are normally reserved for those with pierced ears, but the delicate balance of weight versus high quality stones and settings allows the screw fittings to remain in place and comfortable. Length: drop: 8.7cm (3½").